Get your FREE Industry Trends white paper today. Staying competitive in the pet retail and services industry means staying on top of trends—consistently mixing up your merchandise offering to appeal to savvy customers. 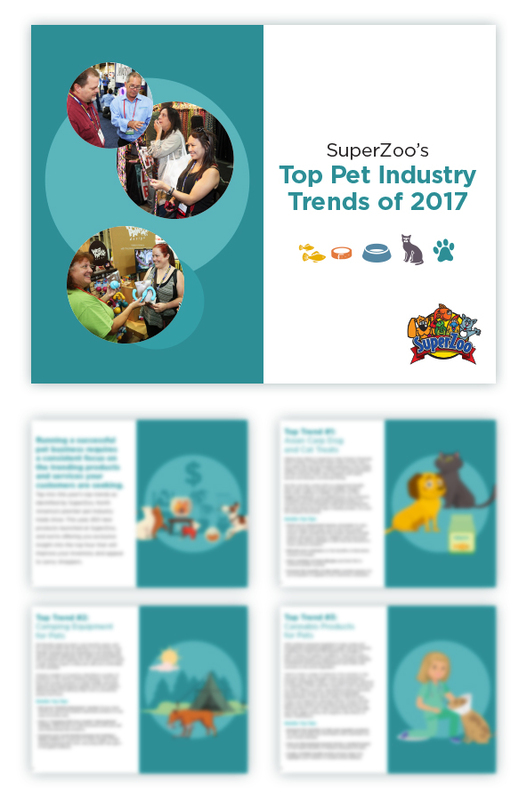 Tap into this year’s top trends as identified by SuperZoo, North America’s most-attended pet retail event, in a new white paper, SuperZoo’s Top Pet Industry Trends of 2017. Discover the latest buzz-worthy innovations that stood out among 850 new products at SuperZoo. Get the scoop on the hottest products and services your customers are seeking. And get ahead of the competition with exclusive insight from industry insiders.